Khayrullo Mirsaidov. Image: Antuan Veselov. In the 15 years I have known Khayrullo Mirsaidov, I have often called my friend and colleague an idiot. The Webster dictionary defines an “idiot” as”a very stupid or foolish person”. That describe accurately anybody who, 25 years after the Soviet Union broke down, still fights for free media and democracy in a country like Tajikistan. In Tajikistan today, the number of such “idiots” – courageous and admirable – is rapidly diminishing. A handful of journalists, some human right defenders and lawyers, some NGOs and a few political activists persevere, standing up to the corrupt and brutal authorities. They do this often with horrific consequences for themselves and their families: living in permanent fear of a knock on the door, an “invitation” to come to the police station, false arrest, assault, torture, prison, or worse. My friend Khayrullo Mirsaidov, from Khujand in northern Tajikistan, is one of these people. Khayrullo is 40 years old. In fact, he marked his 40th birthday in detention. He has worked for 20 years as a journalist in a country that has actually seen less freedom of speech during that period. In fact, the first time I heard about Khayrullo Mirsaidov 15 years ago was when he, as a young journalist, upset pretty much all of his colleagues in Khujand because he openly criticised the local government. The same local government that sponsored (and therefore controlled) almost all of the media in town. Since then, I have on countless occasions seen Khayrullo do what most journalists claim they do, but few of us actually do – namely, speak truth to power. Khayrullo Mirsaidov (centre), 2016. Source: Facebook. I have seen Khayrullo interview wives and mothers of so-called “Islamic extremists” when no other journalist in the country dared to even meet them. Most of those cases were bogus, invented by the police in order to blackmail relatives and torture the imprisoned fathers and sons. Typical of Khayrullo, he got so upset with the lack of interest in the plight of these people that he helped them arrange a press conference. As a result, the Tajik police “invited” him to come and “explain himself”. I happened to be in town to conduct a training and decided to attend the meeting. And yes, I was also amazed that they let me sit in the corner and observe the whole proceedings. More than anything, this illustrates the impunity with which people in power operate in Central Asia. In desperation, the local police chief called his superior in Dushanbe, the capital. For the next 15 minutes, I observed the bizarre scene of the young journalist holding his own – calmly arguing with the high-ranking police official on the phone, surrounded by the local police. After 15 minutes, Khayrullo handed back the phone to the local police boss, stood up and calmly left the room. People with experience in Central Asia will know that you rarely get a chance to walk free from a police interrogation. Over the past decade and a half, I have had the privilege of working closely with Khayrullo on a number of media development projects as well as several documentary films – as his boss and his colleague. Literally hundreds of young Central Asians have benefitted from having had Khayrullo as their mentor and editor in media development projects financially supported by western organisations and governments – UK DFID, Index on Censorship, Danida, Deutsche Welle, OSCE, IREX and the UN. The focus of all of these projects has been free media and democracy both in Central Asia more widely and in Tajikistan specifically – by teaching young people and journalists to responsibly cover topics such as corruption, gender, education, inter-ethnic problems and border conflicts in Central Asia. Hundreds, possibly thousands of articles, radio programmes and videos were published as a direct result of such projects and Khayrullo’s work. 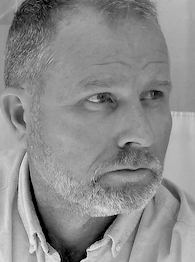 In parallel to his own journalism, Khayrullo has helped me on a number of documentary films (mainly for Al Jazeera English) – on topics such as (the myth of) religious extremism, corruption, drug smuggling (including the involvement of local regimes) and inter-ethnic relations in Central Asia. People and Power: breeding discontent - an in-depth look at the reality of radicalisation in Central Asia. For these films, Khayrullo would track down the ignored, the abused, the powerless – to give them a voice. Often with frightening run-ins with local authorities as a result. And Khayrullo would stay on the topic – to continue helping these people – after the films were finished and I had the luxury of leaving and going home with my EU passport. 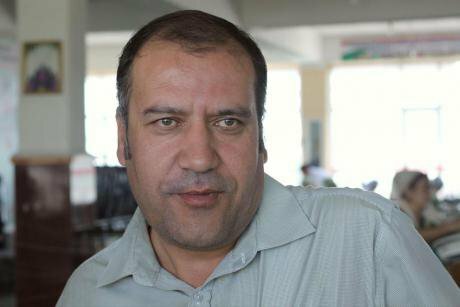 Khayrullo Mirsaidov accuses an official on Facebook in Khujand of demanding a bribe. Khayrullo being Khayrullo, he also wrote an open letter to Tajik president Emomali Rakhmon and asked him to intervene. When I talked to Khayrullo during those weeks, he told me two things. One, that he of course, as an experienced journalist, would not have published such serious and potentially dangerous accusations unless he had proof. Two, that he was worried for his personal safety. A few weeks later, on 5 December 2017, Khayrullo was arrested. He was accused of stealing public funds. A few days later, the prosecutor even expanded the accusations against him to the even more serious counts of “inciting national, racial hatred” – literally the very things that Khayrullo has spent his life fighting and speaking out against. He faced 16-20 years in prison if convicted. Words like groundless and bizarre do not even begin to describe this. A string of international media and human rights organisations agreed that his arrest was political and that the charges were fabricated. More than anything, this is of course yet another example of the impunity with which the people in power work in Tajikistan. If you are in complete control, you do not need to provide even a shred of logic. Years of reports from Human Rights Watch, Amnesty, Crisis Group, Freedom House and others have shown that democracy and free media in Tajikistan are in a worse condition than 25 years ago. The seven months since his arrest have been a roller coaster – not least for Khayrullo’s family in Khujand. On the positive side, his lawyers managed to eliminate the bizarre accusations of “incitement to ethnic hatred” from the court case. With Khayrullo’s body of work on tolerance and inter-ethnic relations, this was one step too absurd even for prosecutors in Rakhmonistan. I also believe that this was thanks to a campaign by a number of international organisations such as Human Rights Watch and CPJ, as well as academics from Exeter University, who brought Khayrullo’s case to public attention. But in equal measure, the support for Khayrullo – a man who for 15 years has worked for free media and democracy, mainly in projects financed by western governments – has been disappointing. No, let me be honest, it has been shameful. Apart from the people and organisations mentioned above, few have cared or dared to speak out. That Khayrullo’s Tajik colleagues – again with a few impressive exceptions – have been too afraid to publicly support him, even cover his story, is sad but understandable. What isn’t understandable or excusable is the lame response from western politicians and governments. I have personally written to 128 politicians in the EU countries and talked to dozens and dozens of their so-called “advisers”. Most of them couldn’t point to Tajikistan on a map. Only three reacted: leading German EU politician Rebecca Harms (who on several occasions has tried to push Western politicians and diplomats to take an interest), and later the two British politicians, Baroness Vivien Stern and Nigel Mills, who sponsored a committee hearing in the British parliament in June. And only after I conducted what can only be described as primitive and bombastic Twitter bombing – no fancy algorithms here, just a daily and ultimately annoying-enough rain of tweets tagging western diplomats in Dushanbe – did they bring up Khayrullo’s case with Tajik government officials. Of course, this was done behind closed doors and we have no trace of it. And no reaction from the Tajik government. So, we can be pretty sure that “our” diplomats did not upset anybody in the Tajik regime. Most bizarre of all, the OSCE Representative on Freedom of the Media – the organisation that is supposed to be a leading defender of journalists – was totally silent on Khayrullo’s case for four months. This is an organisation that has stacks of advisers and describes itself as “the world’s only intergovernmental media watchdog”. The court case against Khayrullo started on 5 June. 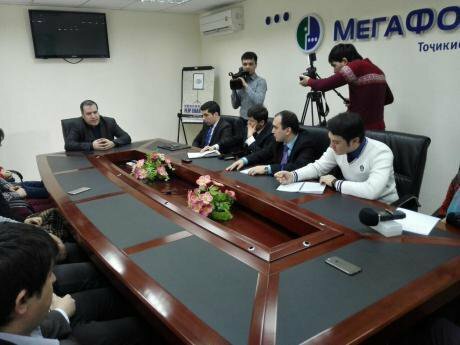 Two representatives from the embassies of the EU and the US were in attendance. As anybody who has done work in the region knows, this is extremely important – to kind of show the local regimes that “we are watching you”. Often we have seen that this kind of attention works as a deterrent. But since that first day, over the following five weeks of court proceedings, no western representative showed up. Despite the fact that we bombarded them with emails and tweets, asking and begging them as we explained the importance of their presence. On 11 July, Khayrullo was convicted of embezzling and misusing state funds, and false reporting to the police. His sentence: 12 years in prison and damages of $13,000 (the amount he allegedly stole). Bizarrely enough, the western embassies in Dushanbe were suddenly amongst the first to react. And harshly. You don’t have to be Sherlock Holmes to see through this: western diplomats in Dushanbe – whose job it is is to analyse Tajik politics – pretend to be surprised by Khayrullo’s 12 year prison sentence? This is either the cheapest of alibi politics (possibly brought on by bad conscience, seeing as we for seven months in vain had begged them to take an interest), or their surprise simply shows their incompetence. Yes, we do have a moral responsibility to people like Khayrullo. Yes, that old-fashioned word – moral responsibility – because for years worked for and with us on the basis of the principles of democracy we always preach. Yes, I am angry. I am angry that the people whose job it is to stand up and defend people like Khayrullo did not do so. Anybody who knows Tajikistan will tell you that the lack of reaction by the west has emboldened the Tajik regime, to condemn Khayrullo to 12 years in prison and, in general, to implement the crackdown on any free thought and media that has been seen over the past three years. Friends and colleagues of Khayrullo have started a campaign to attract attention to his case and hopefully protect him. You can join us here.